A real estate counteroffer is generated by a home seller after a buyer has submitted an offer to purchase and the offer includes terms that aren't agreeable. Typically, a counteroffer states that the seller has accepted the buyer's offer subject to one or more changes. Why Has the Seller Countered? Counteroffers typically address things like changing the total consideration to be paid for the property to a higher price or increasing the size of the earnest money deposit. The seller might refuse to pay for certain reports or fees. Changing the closing or possession date is another common reason for a counteroffer, as is excluding or adding personal property from the contract. The seller might want to modify contingency time frames or have deposits released early. She might want to add amendments. It's also possible that the offer itself is basically fine, but the seller wants to fix a buyer's agent's mistake. How Many Counters Are Normal? Just as a seller can submit a counteroffer to a buyer, a buyer can counter the seller's counter, which then becomes a counter-counteroffer or Buyer Counteroffer #1. There is no limit to the number of counteroffers that can go back and forth. Counteroffer #1 (from seller to buyer): Seller counters sales price to $412,000. Washer and dryer included without warranty. Buyer Counteroffer #1 (to seller): Buyer counters sales price to $405,000. Washer and dryer included without warranty. Seller Counteroffer #2 (to buyer): Seller counters sales price to $409,900. Washer and dryer excluded from sale. Buyer Counteroffer #2 (to seller): Buyer counters sales price to $407,500. Washer and dryer to remain as personal property. Seller Counteroffer #3 (to buyer): Seller agrees to sales price of $407,500. Refrigerator, washer, and dryer excluded from sale. The buyer finally accepted the fifth counter. How Is a Counteroffer Rejected? The seller is not required to respond to an offer. Of course, this doesn't mean that the brokers involved might not have earned a commission if the seller refuses to respond to a full-price-and-terms offer. The brokers might still demand payment if the listing and state law allows it. A nonresponse doesn't necessarily alleviate the seller's responsibility to the broker. That said, there are some common ways to reject an offer. Many purchase contracts provide a spot near the bottom for the seller to initial that the offer has been rejected, or a seller can write "rejected" across the face of the contract then initial and date it. Most offers specify a date of expiration of the offer if the seller elects to simply not respond. 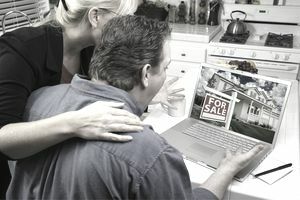 The listing agent can email the buyer's agent to communicate the fact that the seller will not respond because the offer is unacceptable but sellers generally aren't required to formally reject an offer in writing. How Is a Counteroffer Accepted? The buyer can simply accept the counter and deliver it back to the party designated to receive it. Time is always of the essence if the offer includes an expiration date and the seller can accept another offer while the buyer is deciding whether to sign the counteroffer. The seller will typically withdraw the counteroffer if this happens. What commonly occurs in these situations is that the seller accepts the second buyer's offer then simply withdraws her counteroffer from consideration, kicking the first buyer out of the game. What About Multiple Counteroffers With Multiple Buyers? Depending on your state's laws, a seller might or might not be able to issue multiple counteroffers to more than one buyer. Sellers can counter more than one offer simultaneously in some areas and each counter can be different. Even if one of the buyers accepts the seller's counter under these circumstances, the seller doesn't have to accept the buyer's acceptance. An experienced agent is your best bet if you're dealing with multiple counteroffers. They can be tricky and fairly complicated.